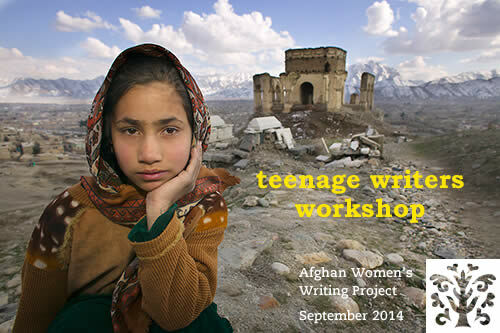 Finding joy and fun for girls in Afghanistan is not an easy job because they are deprived of these opportunities. A few weeks ago my friends and I wanted to ride bicycles with the United Nations’ Girl Up campaign. We thought it would be a fun activity, riding our bikes every Friday. Our hope was that people would no longer disturb girls while they were biking and make biking part of everyday life. Our plan was to ride around different places to show people girls can ride a bike as well as boys. But I had to have my parents’ permission and this was not easy—because it wasn’t the first time I asked them, but the fifth time. It was Thursday noon on the day before we were to ride and I was so scared that they would not let me do it. I went to the mirror and told myself that this time they will let me ride my bike. “I have told you many times that you are not allowed to ride a bike and that is all,” my mother said. She sounded angry and she didn’t let me finish, but I tried again. “But you said if there were any other girls with me you will allow me to go biking,” I said. For some minutes I was stuck, thinking about this. I wondered why I should feel shame riding my bike? Is it some kind of crime or something really rude that makes my family shamed in their relatives’ eyes? Maybe my family was not wrong, but they were just guilty of supporting wrong traditions that people falsely believe are Islamic rules? But I know these are not Allah’s rules. Today I was supposed to write my happy memory about riding my bike. But now I feel that I was deprived of that opportunity, and I write my saddest memory. I was denied this joy because of a tradition that goes totally against women’s rights. I hope for the day when my sisters and I can bike without fear of this old tradition. I hope that we will all ride our bikes and open the eyes closed by old traditions, and show them a bicycle is not only for boys, but for everyone. Arifa, you explain so well the conflict that girls in Afghanistan face when they have to choose between an uncertain future that seems to go against old traditions. Who knows whether your relatives will complain or not, but ultimately you will have to be the one who decides whether you will ride a bike. Very nice story, Susan P.
I believe you will one day ride your bike and make your happy memory without a shadow of shame. Many cultures use there religion to unfairly oppress people and that makes change difficult but not impossible. Writers like you will help make changes. You are courageous. Arifa, One day may you ride your bike with great joy and a clear heart. In the city where I live, there are lots and lots of bike riders. I want that for you and I believe you will have your dream because you are working so hard to educate yourself and grow to greatness! I grew up in the neighboring Iran and although in comparison to Afghanistan, Iran is a much more wealthy country with women making up 60% of all college students, I can easily relate to your situation. A few years ago two of my female cousins used my visit to do what they had been hoping to do since the 1979 Islamic revolution: They wanted to go for a bike ride in a public park! They decided that the safest way to do that was to ride their bikes with me and another male cousin and take a bike path that attracted less attention from Iran’s religious police. They of course wore very modest outfits especially taking care to make sure that their buttocks were completely covered with a top that did not show their shape! Everything went fine but it was shocking that in this era something as simple as riding a bike can be so controversial for women. As you may already understand, the reason for riding a bike being so controversial has nothing to do with riding a bike and all to do with “men”. For the entire human history men have used their physical strength over women to develop rules that best suit them. Up until very recently all men have viewed women as their personal property the same way that they see their houses or their clothes. And in the same way that men don’t want to feel that their houses or their clothes are at risk from another man, they don’t like to worry about other men even looking at their women until, of course, when they have offered an adequate amount of dowry to compensate them! That’s why men have developed laws to support their right to protect their personal property. When you and your friends ride your bikes, you are challenging the property rights of the men in your society. And your mom is protecting her own safety by enforcing the rules that the men in your culture have established. Of course as you mentioned in your beautiful letter there are always those who tell us that “that’s not the true Islam (or Christianity or Judaism or Hinduism or….) and in the true (insert a religion here) women are equal to men”. They would even quote the verses from the Koran and Prophet Mohammad who say exactly that. But the problem is that in many other places in the Koran and in how prophet Mohammad actually lived his life, it is clear that he never considered women to have equal rights as himself. There is a reason all prophets were men…because no man would ever accept a woman as his god’s representative! I wish I had a better advice for you but my only advice is to look for any opportunity to leave Afghanistan for a more modern country. Of course that opportunity for Afghan women is very remote, that’s why my second advice is for you to conduct yourself in a way that it constantly proves to everyone that you are every bit as competent and intelligent as the men around you. Continuing your education is the best path for accomplishing that goal. Finally, if you decide to get married and have children I hope that you do your best to raise children who do believe in complete equal rights between men and women. That way you can be proud of your accomplishment in raising children who will in turn dedicate themselves to making a better Afghanistan…for both its men and women! For someone like myself living in the UK it is so difficult to imagine a situation where cycling for girls is forbidden. Here in the UK cycle racing for men and women is one of the most popular sports we have and thousands of people come out on to our roads to watch the races. Please don’t give up. I am American and much older than you. Although our lives are different, I have known the hurt of being told “You can’t because you are a girl.” Living here, it was easier to ignore the people who said that, but it still felt bad. I am sorry that you were made to feel bad and that you have not yet been allowed to ride a bike. But do not give up. Changes will happen only when girls do not give up, and men can no longer pretend that girls are something less. You are not less!